« FREE…. FREE…. FREE…. Northrup FREE! Singer FOR FREE! Get Your Free E-Book Right Now! Bestselling South African writer Jacob Singer has finally released his brand new and totally FREE E-book! 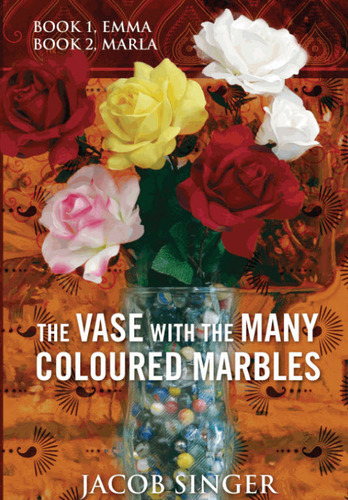 The Vase with the Many Coloured Marbles has been available for sometime as a paperback and as a download… BUT NOW you can get your free sample copy off Amazon for nothing. Jacob has been lauded as one of the most exciting writers to come out of South Africa. “Let me begin by saying this is not the kind of book I gravitate to. I read it out of curiosity after the many comments I read about it. But once I began I was completely drawn into the story. Singer FOR FREE! Get Your Free E-Book Right Now! | Novel Ideas | Hey Sweetheart, Get Me Rewrite!